Everything that exemplifies fine living could be said about Longboat Key, Florida, but the relaxing feel of dabbling in an atmosphere that is almost always in perpetual vacation-like mode can never be truly realized unless you try all the great things it has to offer. 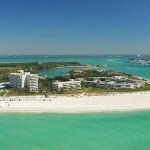 Needless to say that a heavenly experience awaits everyone who plans a vacation in this paradise town located between Sarasota Bay and the Gulf of Mexico. Be forewarned, however, that a short stay may eventually lead you into considering living here full time! Longboat Key real estate delivers the lifestyle everyone dreams of. 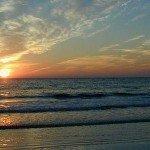 Beach, golf, warm weather, fabulous sunsets, cool ocean breezes all are found here in a paradise that seems miles away… Yet right on Sarasota’s door step! 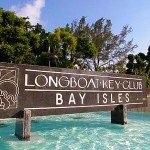 The real estate for sale on Longboat Key falls into two different categories, Single family homes and maintenance free condos. 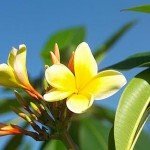 Condos for sale on Longboat Key certainly dominate the MLS listings as these properties suit the preferred lifestyle of many who flock here. All exterior maintenance is taken care of by the condo association, the residences are lock-and-leave and this gives snowbirds the comfort of knowing there property will be taken care of while they are up north during the summer months. 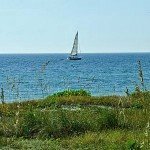 Homes for sale on Longboat Key are some of the finest found in the Sarasota area. Spanning prices from $500,000 to more than $15 million, there is certainly a Longboat Key property to suit every lifestyle and price point. L’Ambiance, developed in the prestigious south Longboat Key, got everything that it takes to win discriminating buyers of luxury Sarasota condos for sale. 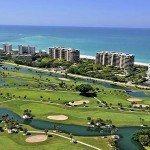 This condominium shares this southern section of the 12-mile long barrier island with the exclusive Longboat Key Club and the inspiring atmosphere of the latter’s expansive golf links. 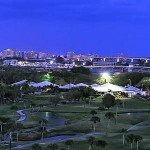 In addition to this fringe benefit of refreshing views of greens and fairways, the direct Gulf Coast location of L’Ambiance provides it with the endearing character sought by prospective buyers of waterfront Longboat Key condos for sale. Development of this condominium, which started in 1990, maximized the property’s great location, with its two multi-story residential buildings constructed parallel to Longboat Key beach. This meticulous planning of L’Ambiance therefore saw the construction of 190 units where the residents can relish not only golf course views. 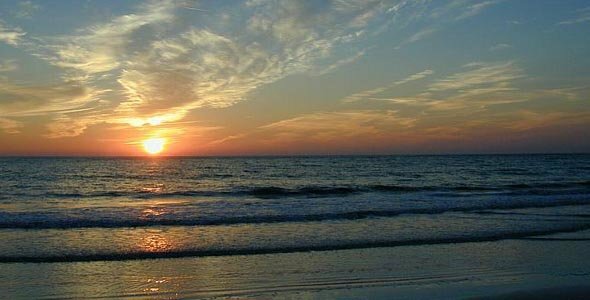 They can likewise enjoy the panoramic vistas of Sarasota Bay toward east and the equally fabulous views of the Gulf of Mexico to the west. Such luxuriant vibes extend to the square footage of the L’Ambiance units. These residences were designed with spacious floor plans ranging from 1,070 to 5,170 square feet, featuring from two to three bedrooms. These units’ price points hover in the $1 million to $2 million range. Luxurious master suites, curved accent walls, airy terraces and completely renovated kitchens are but some of the endearing features of L’Ambiance homes which are typically listed among Longboat Key condos for sale. As tempting are the condominium’s amenities which include a 24-hour concierge service, exquisite landscaping, direct beach access, a resort-type pool, and tennis courts. 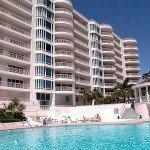 Located in the prime southern section of the 12-mile Longboat Key, the Water Club condominium is one of the property developments largely behind the barrier island’s lofty reputation as a domain for luxury Sarasota real estate for sale. An opulent lifestyle woven around its 16-acre gulf-front location formed as the template when this condominium was developed from around the mid to late 1990s. 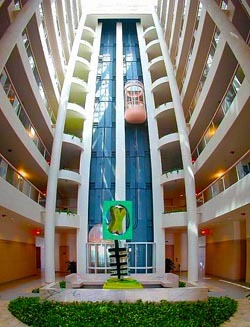 The Water Club property was developed for 172 luxury condo units housed in its South Tower, built in 1996, and in its North Tower constructed in 1999. These residences have floor plans ranging from 1,392 to 5,225 square feet. Certainly among the more spacious Longboat Key condos for sale, available units at the Water Club are designed with either two or three bedrooms. Their price points typically start around the $700s and top at close to the $3-million level. 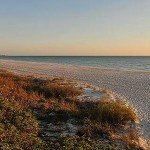 Their elegant features more than justify these units’ listing among high-end Longboat Key condos for sale. The choice residences at the Water Club have luxurious master suites and living rooms. The tall ceilings and glass walls of these units allow the splendid gulf and bay views which make this condo stand out in the Sarasota real estate market. Further market boost is provided by Water Club’s luxurious amenities, such as a Mediterranean-style clubhouse, a modern fitness center, game room, library, pool, spa, and tennis courts. Additionally, the condo complex is secured by a 24-hour guarded gate entrance and is also buffered by lush greeneries and elegant landscaping with fountain accents. You will certainly run short of great adjectives to describe the Tangerine Bay Club. This beautiful 90-unit condominium development is shrouded by a lush Mediterranean setting perfectly situated at the southern end of Longboat Key. This residential structure boasts of 34 acres of nature preserves to the south, a boating facility known as “boataminium” to the north, the Bay to the east and Islandside Golf Course to the west. There is also a deep water channel bordering the shoreline of Tangerine Bay Club for easy boating access to the Gulf of Mexico. What is even more exciting about Tangerine Bay Club is the fact that it is just a short drive away from St. Armands Circle and Downtown Sarasota, where a variety of restaurants, shopping and entertainment venues can be found. The Tangerine Bay residences remarkably feature Mediterranean-style architecture that perfectly blends with its majestic island-resort appeal. They offer residents spectacular views of the tropical pool and lagoon or serene Bay. Tangerine Bay is probably one of the best priced Longboat Key condo developments, many exciting amenities offered by Tangerine Bay include a 25-meter free form/ lap pool with waterfalls, a whirlpool spa, a well-equipped fitness room, two tennis courts, a walking and jogging path, a clubhouse with kitchen and bar, a day dock and fishing pier where one can watch dolphins play and a 24-hour manned and gated security entrance. With its alluring and captivating features, it is easy to spot Vizcaya Longboat Key among great condo masterpieces located in the State of Florida. Towering over plush tropical landscapes that accent the buildings, another feature of this hidden paradise that catches everyone’s fancy is its immaculate and dramatic architecture. No wonder, Vizcaya Longboat Key is being regarded as one of the world’s best condominiums. One cannot simply ignore the charm of this beautiful nine-acre beach front property, which exudes opulence, prestige and excellence. Above its outstanding features, Vizcaya residents enjoy the advantages of having a manned security gate, secured lobbies, a resort-style pool, a spa and sauna, a lavish clubhouse, tennis courts, a fitness room, an exclusive and private beach access and private elevators.